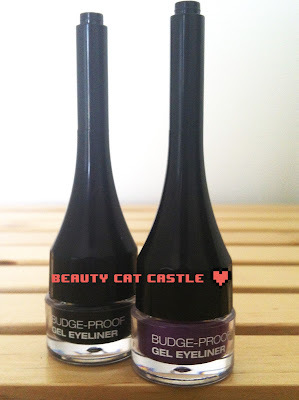 I recently purchased the Face of Australia Budge Proof Gel Eyeliner in Blackest Black and then more recently for some fun i also purchased the Pure Purple since i liked the black version so much. I believe these have only been out since early March or so but they are quite good and luckily for my terrible eyeliner application skills also very easy to use. Now, admittedly, they look a bit weird. But actually they are a stealth secret weapon of awesomeness, the long top part is actually the brush which lifts out and the lid is a screw top, making it very travel friendly just not so stacking friendly but i am willing to overlook that. The color pay of is quite nice and it stick very well, it really is quite budge-proof and the brush makes application so easy it's almost idiot-proof a swell. I include myself in that category, I'm terrible at eyeliner but this product really makes me feel like I'm a lot less fail then i actually am. The formula is very impressive, soft and creamy which makes the product just glides on and stays put. 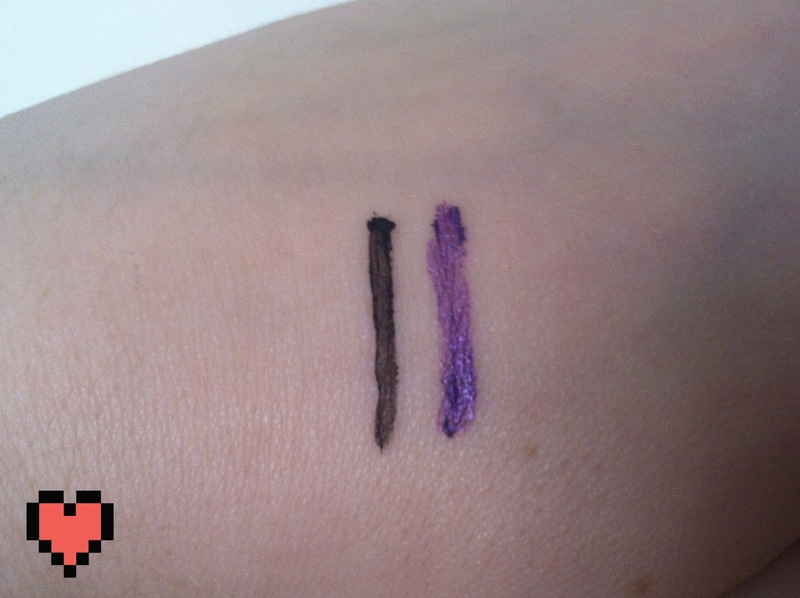 I've tried gel eyeliners from Essence (not bad) and from Maybelline and i like this one the best, in fact next week I'm going to and get myself the bronze version. (It also comes in navy and a sparkling black). The brush i also surprisingly good for drawing shapes, getting between lashes and making a winged eye look. I use the black basically everyday now with any look at all because i know that i can trust this product and it's really helped me warm up to Face of Australia a lot. I love it, and I'm very sure you will love it too. If you haven't tried it yet then do so, it's worth the $10.